Due to the e-mailed interest in the design, and the plan sales of the original 10 foot version of the Hudson Springs Pram; I've brought it's little brother, the 9 foot FlyCaster to the front of the "need to build" list. 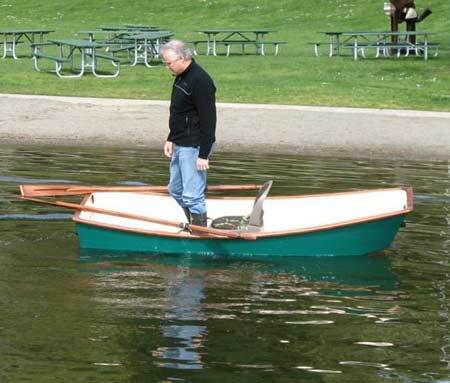 It will be the next start to finish boat I construct with my usual series of stories and photos posted at Duckworks Magazine. This will be a solo boat. 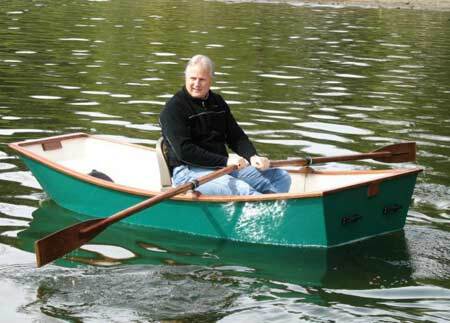 I am not going to add any drawings of extra bulkheads with more traditional styles of bow and stern seats. 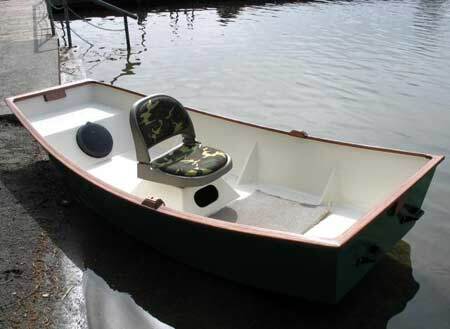 This will only have the single pyramid tower in the middle of the boat to accept one of the swiveling/removable seats you can get at your locale outdoor store, or at Cabalas and other sports and fishing gear online retailers. If you would like to add other structures to the interior of the hull; I only ask that you balance the weight distribution of any changes you make between the front and back of the hull before you attach the seat pyramid. You don't want to upset the balance of the boat as it is designed. The plan instructions will explain how to compensate for any changes you may make to the basic design. 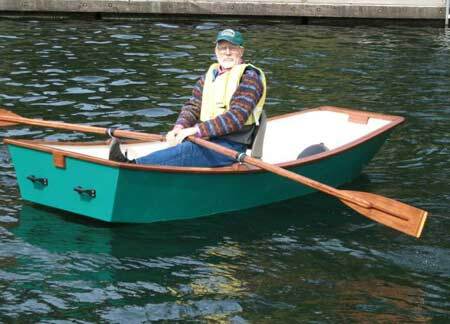 I hope you have fun constructing and comparing the two boats and that this will make it easier to pick a size that best suits your needs and desires. Just think about being out on a sunny day, casting away your troubles and worries in your new HSP FlyCaster! The three part series of constructing the FlyCaster, can be seen starting at this link. To see over 200 photos taken during the construction of the hull, check out my album page. 15 colorful and concise pages of drawings (samples above) and a 46 page instruction manual - perfect for the first time builder.